It does seem a little odd to be writing an Advent preview in September but, for those who are looking for Advent reading or as a pre Christmas gift, this may be useful. This inspirational book takes you through Advent to the celebrations of Christmas through the eyes and beliefs of Celtic Christianity. Starting in November and reflecting on Jesus’ coming at his birth as well as into our lives by the Holy Spirit and at the world’s end. 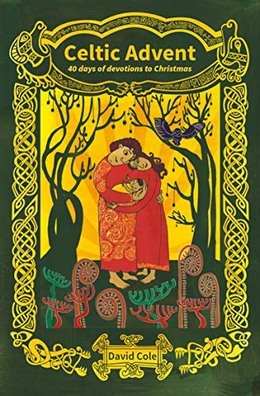 David offers a unique approach to the seasons through this 40 day Celtic devotional. God’s purpose in Jesus is to bring peace, both with God and with others. But have we really understood what this peace looks like, especially in a world of wars and suffering? The coming of Jesus at Christmas is central to the divine plan to bring peace to the world. Through reflection on Scripture and mission stories, David locates God at the centre of our mission and encourages us to restore the peace, joy and hope that comes from Jesus. 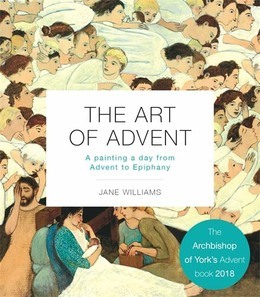 Following on from the best selling Art of Lent, this beautiful book describes and interprets paintings for each day of Advent. Artists often address subjects our cultures seeks to avoid, and Jane Williams’ brilliant and perceptive reflections will help you to read these paintings with a more discerning eye, and discover deeper levels of meaning than may at first appear. The story of the birth of Jesus interpreted through beautiful unique full page illustrations, alongside a classic retelling of the Nativity. There are many intriguing people, animals and landscapes to look at along the way, nursling with details to find with a young child as you share the story of that special night. Ages 5 – 9. Some think that Christmas was a ‘Silent Night’ – far from it! It was filled with shouting and singing, and as noisy as our Christmases can be. 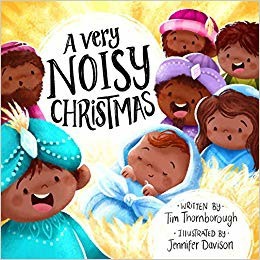 This fun, fresh retelling of the Nativity comes with sounds written in so children can join in as parents read. It also shows that at the heart of the story is something we should all be quiet and see: God’s son was born so that we can be friends with God forever – something worth shouting about! Ages 3 – 6. All suggestions taken from the September edition of ‘Aslan Christian Books’. or phone 08453 679676 or 01373 823451 or I can order for you.